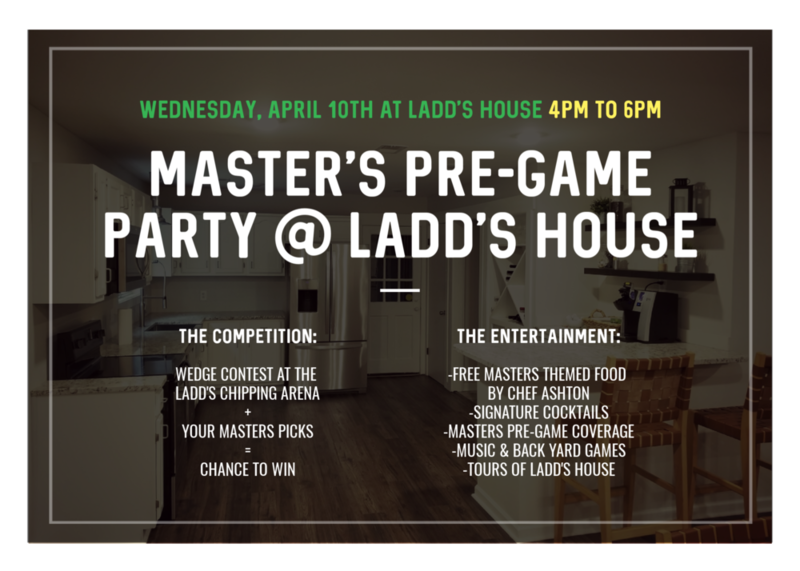 Join Greg, Robert and Jared down at Ladd’s House this Wednesday as we host a Master’s pre-game party from 4 to 6. We will have food, games, challenges, music and more, all centered around every golfers favorite week of the year, The Masters. We will also be offering tours of Ladd’s House and showing how you can utilize this fun amenity for golf trips, business functions, staycations and more. See you Wednesday!